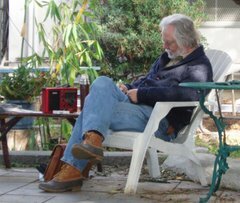 LA Garden Blog : Are Those Seeds Any Good, Mister? 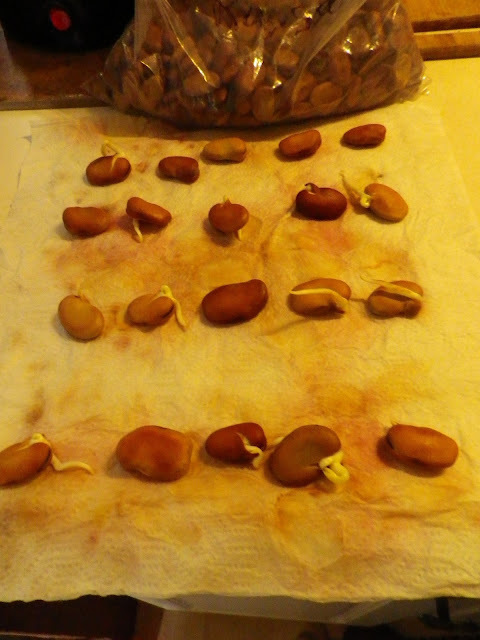 I was given a big bag of fava bean seed as the Seed Library of Los Angeles was clearing out some old seeds lately. The bag was labeled "Fava Beans, 2010" I'm thinking "What is the longevity of fava beans anyway?" Most seeds figure to be close to dust over seven years (tomatoes being the common exception), but every so often, something was saved right and conditions all along favored longer life and the seeds will still sprout. I had no idea about fava bean seed, although, larger seeds seem to take longer to die than itty bitty ones (tomatoes definitely are the outliers!). Some quick research, I found a UC Davis article that said "When stored under favorable conditions, most bean seeds have a life expectancy of 3 years." It's hard to see, but this bag of fave bean seed is labeled 2010. Gosh. At 8 years, 2010 to 2018 seems like a long shot! But here's a whole bag of the stuff, I would really hate to throw it away. I don't know any magic, but sometimes a 'germination test' feels like magic. What Is a Germ Test And How Do You Do It? Most seed savers abbreviate 'germination' into the monosyllable 'germ' and so you hear us talking about 'germ tests' not germination tests. Too much work to say all that! You will need a soft cloth or a paper towel. A water proof container - most folks use plastic zip lock bags. For this one, I used a bag that a loaf of bread came in and when I'm done, I'll wash it and use it again! Lastly, of course, you'll need some seeds and some water. Fava bean seeds are big and bulky. They are not the most convenient species to take a germ test. First time out, you might want to do corn, peas, regular beans - something substantial but not as bulky as a fava bean. The number of seeds you will use for a germ test will depend on how many seeds you have and how much mental energy you want to spend. Educators usually talk in terms of 100 seeds. The beauty of this is that when you're done, simple count up the number that sprouted and you have the real percentage of viable seeds. And that works if you dealing in farm size quantities, but if you have only 100 seeds to start with, you'll be using the germ test seeds to plant! It takes a good deal of patience to plant already sprouted seeds. The actual appearance of my finished germ test. Five beans per row, four rows - 20 seeds total. So here we are. I only used four rows of five beans and even that was hard to keep in the paper towel roll! That's twenty seeds, so to get my percentage, I count my sprouted bean seeds and multiply by five and that will be the percentage out of 100. It's hard to see in this photo, but there are 12 sprouted seeds (and by the way, this test was only for five days, if I really wanted to push things, I could have easily kept the seeds in the roll for up to 10 days, getting an even higher percentage, but I was in a hurry for many reasons). Twelve sprouted seeds times five is 60%, because, if you're math challenged like I am, it takes five times twenty to make 100 and that's how we find the percent. Now 60% germination will not win any real award, in fact it is illegal to sell seed with 60% germination. But in this case, to use these beans up, I would plant 2 seeds for every plant I want. If I was wanting to have a fava in every spot where I planted them, I might sow two seeds per spot and then put a couple seeds into 4" containers to fill in any hole that ended up empty. So, yes ma'am. These are good seeds enough for home use. They'll spend the summer in a cool, dark and dry place (in the plastic bag in my fridge with the door closed almost all the time) and I'll plant them out this fall. Or, you might find some of them with the Seed Library Of Los Angeles where you'll get double the amount to make up for the low germination. Soon, I'll be showing off my black garbanzo beans I'm SO excited about. Do stay tuned!